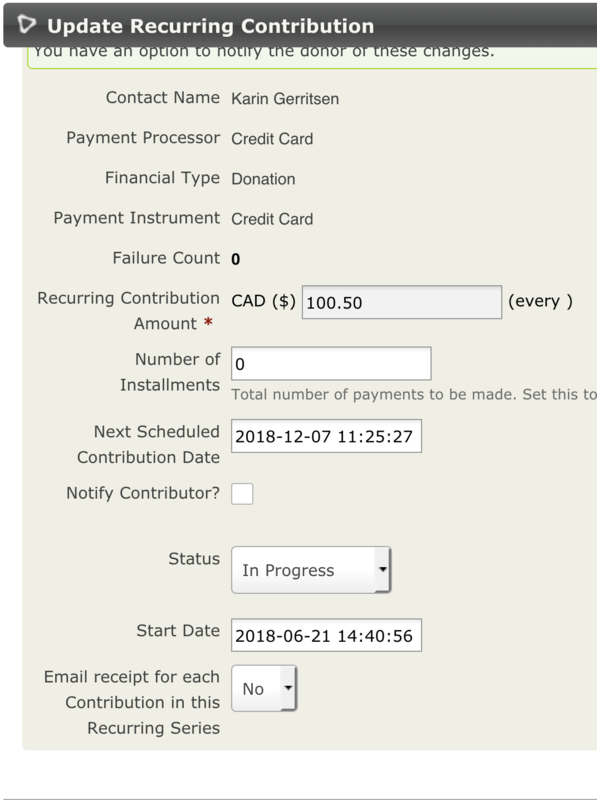 I'm on CiviCRM 5.8.1 on WordPress using the latest version of the Stripe extension, and I'm wondering if there's a way to disabled the automated receipts for existing recurring donations. We'd like to change to a model where we're doing thank yous manually as needed when recurring donations come in, and while we can tell it not to send a receipt when we first enter a donation, I don't see anywhere that I can tell it to stop sending automated receipts if it's already doing it. I do not have the "send receipt" box checked in the contribution page configuration for what that's worth. Thanks for any ideas folks have. For the iATS extension we have added an additional setting that will override (a global setting) all individual recurring series. How to disable sending an email after a recurring contribution?